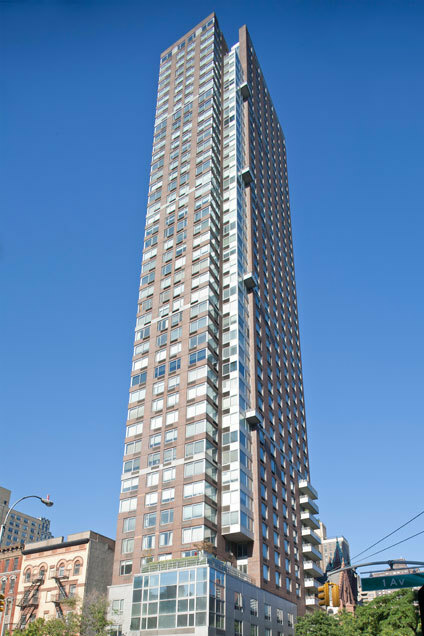 This 46-story silver building was completed in 1990 and was a high-rise pioneer on First Avenue. Most of the towers 163 condominium apartments have very open and impressive views. The 2nd floor has 4 duplexes which offer towering ceiling heights and windows. Please complete Application Form (enclosed). This form must be completed in its entirety in order for your application to be considered for review. All applicants and guarantors are required to complete this form. Please upload fully executed Contract of Sale - signed by all parties, dated, and including all riders. Please upload Employer Verification Letter stating annual salary, bonus (if applicable), position held, length of employment. If you are self employed, please submit a letter from your CPA or accountant stating your income. Please upload Employment Verification Letter. If you are self-employed, please upload a letter from your CPA or accountant stating your income. Please upload two (2) professional reference letters. Please upload loan commitment letter. Must include monthly mortgage payment and interest amount. If you have not locked in, the mortgage company must provide a Good Faith Estimate of your monthly payment and interest amount. Please upload W9 or W8 form, which ever is applicable. Please upload Employment Verification letter. If you are self employed, please submit a letter from your CPA or accountant stating your income. Please upload W9 or W8, whichever is applicable. Please complete House Rules Acknowledgement Form (enclosed). House Rules enclosed for informational purposes.